Our zero-interest, evergreen, pay-it-forward funding scheme for our artisan partners, launched in partnership with Womentum.io. Designed to build communities of women artisans supporting women artisans. Our two pilot artisans, funded through the Thrive Transfers Fund. Amparo, currently 62 years old, learned to weave at the age of 8. At 11, she became a weaver by profession to help her mother and pay for her brother's studies, after her father's passing. 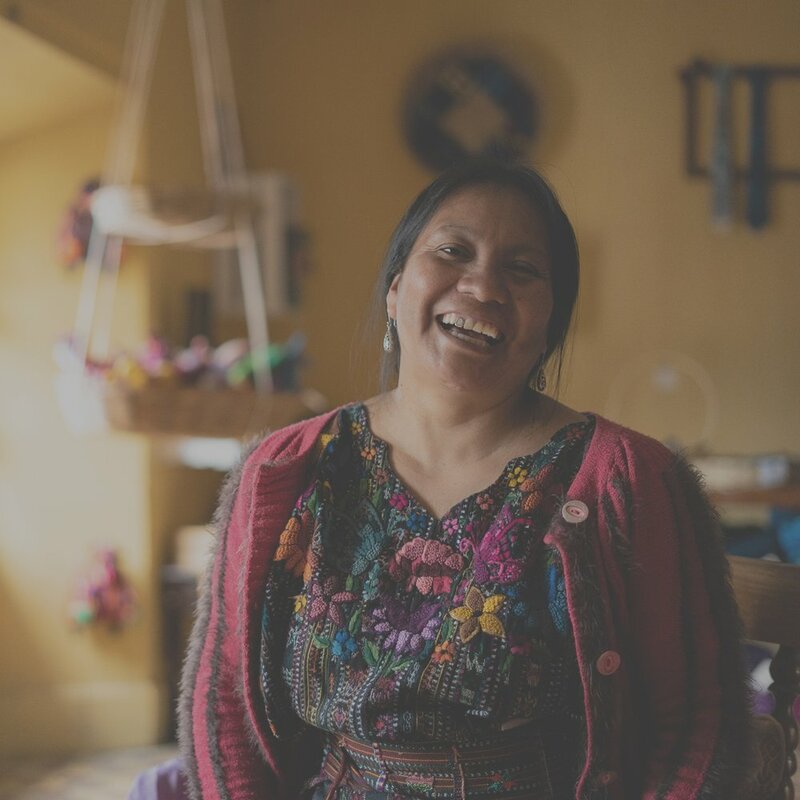 Amparo has always wanted to help the women in her country, especially the weavers. Weaving is a tedious process but these women do not have other options. She thus tries to make their life easier by ensuring them a fair salary and financial security. Amparo loves having volunteers at Trama as it allows her to stay young, meet new cultures and new ideas. 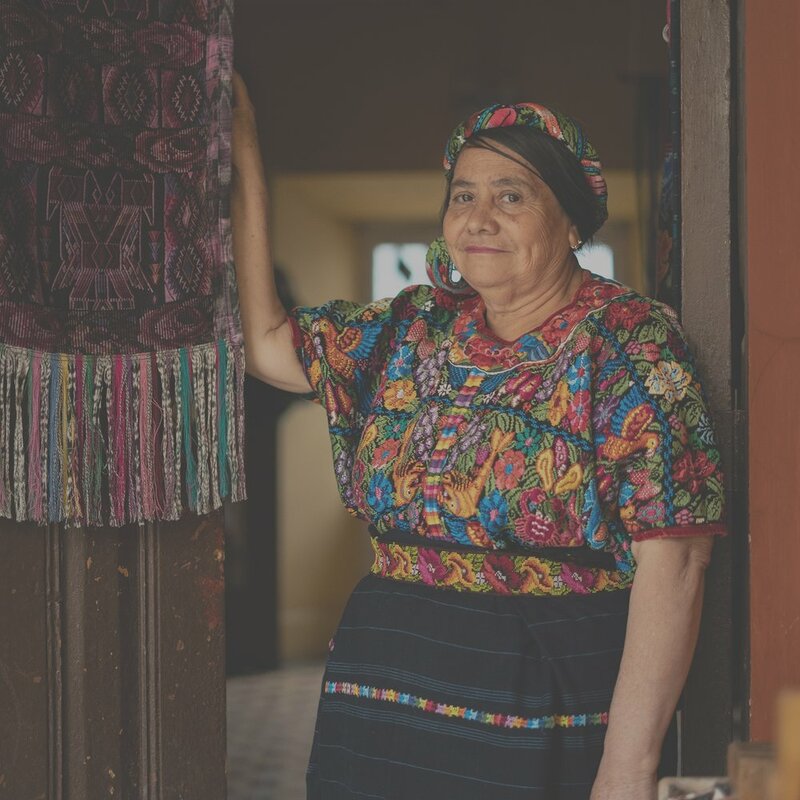 She sees herself as the bridge between the weavers, the Guatemalan culture, and the volunteers from the modern world. Oralia started to work for Trama at the age of 14. Her father, who was the leader of the village, appointed her to form a group with the women of her village who had been victims of the civil war, and to take them to Trama. She thus formed a group of 60 women and coordinated their work at Trama. Oralia loves weaving because she believes that it is the mission her ancestors have given her. It is a cultural heritage and an art that they have to fight to preserve. Oralia wants to help the weavers and show the world the strengths of her people. We're always thinking of new ways to support our artisans. One problem our partners often face is the lack of capital. Many artisans find it difficult to save for a large purchase, and there are few sources of affordable credit in rural areas. Traditional microloans through platforms like Kiva often charge interest rates in excess of 25%-40% (by their field partners). We wouldn't pay 40% interest on any loan. So why would we expect the artisans to? Thrive Transfers provides zero-interest credit for women artisans who require short-term financing. The artisan is first encouraged to focus her immediate attention on growing her micro-enterprise. Repayments begin at a later stage through our issuance partner Womentum, and she is not penalized for failing to meet repayment targets. The women are free to use the credit for different purposes, from purchasing a new loom to raw materials. These transfers are funded by our profits: we've dedicated 10% of the profits from selected crafts to fuel this program. We have opted for a pay-it-forward model, based on Womentum.io's unique model. Instead of paying back the sum to Artisan & Fox, the artisan pays forward her credit to another woman in the same community. Successful artisans are encouraged to share their learnings with other women in their community. These transfers are also evergreen, with the potential to propagate within the same community for perpetuity. Once an artisan's credit has been repaid, Artisan & Fox selects a new artisan within the community to pass on the transfer to, after vetting by the artisan community and Womentum. The aim is to build thriving communities of women supporting women, which we believe can be exceptionally powerful, especially in patriarchal cultures where many of our partners live. The Thrive Transfers program is solely dedicated to our women artisan partners. But why only women? For one - studies have shown that women reinvest on average 80% of their incomes into productive uses and their families. Second, we recognize the complex barriers holding back women artisans. For example, the International Finance Corporation estimates that in developing regions, more than 6m women-led small businesses are denied financing due to terms that favor men applicants. Launched on International Women's Day on 8th March 2018, the Thrive Transfers Fund is issued in partnership with the US non-profit Womentum.io. The Thrive Transfers recipients are women artisan partners selected by Artisan & Fox, vetted with the support of Womentum and a local artisan organization. Each Thrive Transfer is funded by our social business' profits. Apart from providing 50% of gross profits to our makers, We have set aside an additional 10% for the Thrive Transfers Fund for profits from selected crafts. You can choose to directly support the artisans' funding requests too, if you wish to.